Weaving a Web of Research Andrew Mah ’18 has spent his undergraduate career studying the circadian rhythms of spiders. There’s a reason I’ve become the designated spider-catcher in all my friend groups: I’ve spent basically all four of my years at W&L, up close and personal, studying our eight-legged friends. My current project combines my experience in a spider lab with my research passion in computational neuroscience (think math meets neuroscience) to study some strange patterns in circadian rhythms that arise in some spider families. Not only does this project allow me to explore my research passions, it also helped forge a new collaboration with spider circadian experts at East Tennessee State University (ETSU), where I spent the summer collecting literally hundreds of spiders for our work and meeting some unique characters along the way. The reason I’m so passionate about spider circadian rhythms does not lie in some deep-seated childhood love of biological rhythms. Rather, I was inspired by the passion that my W&L and ETSU mentors brought to the table, day after day, even in the face of setbacks and less-than-ideal results. In a unique experience for most undergraduates, I got to work extremely closely with multiple advisors at multiple universities to truly see how the scientific sausage is made firsthand. I was not handed this project on a silver platter with a well-defined goal and plan of attack. Instead, I found myself on the front lines with my professors with a vague end goal, figuring it out one step at a time. And even though we’ve still got a mountain of work ahead of us, I couldn’t be more proud of the work that we have done. 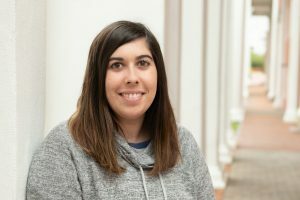 The experiences afforded to me by W&L’s unique dedication to research in a tightly knit community has helped me grow immeasurably as a scientist and a person. Spending the summer in Johnson City, Tennessee, allowed me to meet so many wonderful people, both in and out of the lab. Presenting my work at the annual Society for Neuroscience conference allowed me to engage in conversations with world-renowned neuroscientists about my research and the greater field of neuroscience (as well as generate quite a bit of media interest). Without the near endless support from W&L and ETSU, I could never have been exposed to such formative experiences. I got to see the wet and wild world of science, warts and all, and I can’t wait to continue my education as a scientist in graduate school and beyond. Everything that we are, everything that we experience, every memory we have, is mediated by the exchange of ions and neurotransmitters in a collection of billons upon billons of neurons organized into complex circuits. I’m fascinated by how this process works, from the molecular to the behavioral level, and neuroscience and mathematics provides me with the tools to investigate these kinds of questions on a theoretical and experimental level. Hands down, my research advisors, Dr. Nadia Ayoub and Dr. Natalia Toporikova. I’ve worked with them in one capacity or another since my first year here, and they’ve seen me grow and mature as a scientist and a person. The guidance they’ve provided me along the way, in addition to their passion for science, played a major role in my decision to pursue a career in research. “Keep moving forward,” which I did not realize was from the seminal film “Meet the Robinsons” until I recently re-watched it. Napa Thai, easily. I still haven’t decided between chicken pad Thai and drunken noodles. Learn to roll with the punches. Whether in your personal or academic life, sometimes you’re going to deal with some crappy situations. But don’t get discouraged. Just learn from them and keep moving forward. Hopefully attend graduate school to study computational neuroscience. I’ve got some interviews at prospective schools, so fingers crossed! I have what some people might refer to as “grandmotherly” pastimes: knitting, crocheting and cross-stitching.